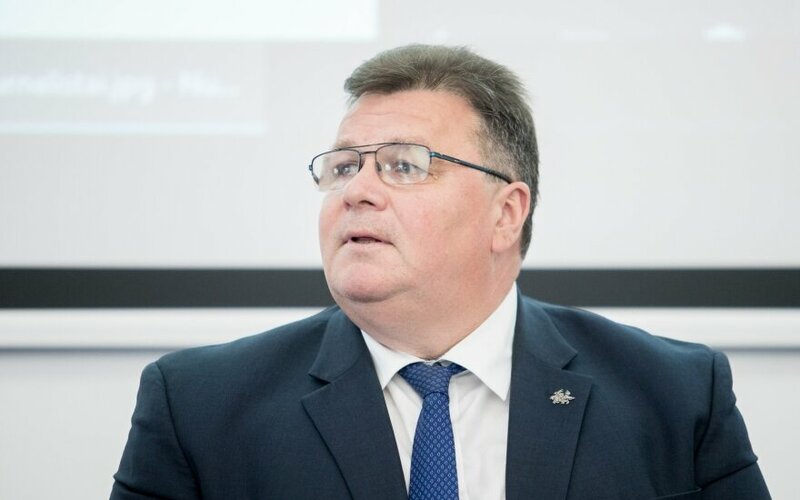 Foreign Minister Linas Linkevičius says that the public must be informed about the Astravyets nuclear power plant under construction close to Belarus' border with Lithuania and reiterates Vilnius' demand that the project meet the Espoo Convention standards and that risk tests be performed under the EU rules. "As to nuclear facilities, the public not only in Lithuania, but also in Belarus, deserves comprehensive information about this project. (...) Public surveys are important because the public must be informed based on facts, rather than emotions," he said at a news conference held on Wednesday to present the results of a RAIT opinion poll commissioned by BNS. Sixty-five percent of Lithuanians polled last month thought that the Astravyets plant posed a threat to Lithuania's safety and 23 said that they saw no threat. Twelve percent of respondents had no opinion. Linkevičius said that problems regarding the Astravyets plant and public information about the project were among issues to be discussed at next week's meeting of the parties to the Aarhus Convention. "We demand that the construction of the plant be stopped and work be continued in accordance with the Espoo Convention standards, that risk and resilience assessment tests are performed in accordance with European Union rules, and that the principles and criteria for site selection are fully examined," he said. The minister added that Poland backed Lithuania on issues of the Astravyets plant's safety and electricity imports from the facility, but Latvia, Estonia and Finland had somewhat different positions.